Become your favourite football players on your trampoline! This football pack will allow your children to develop their balance and dexterity while having fun. This pack includes a trampofootball and a foam ball. 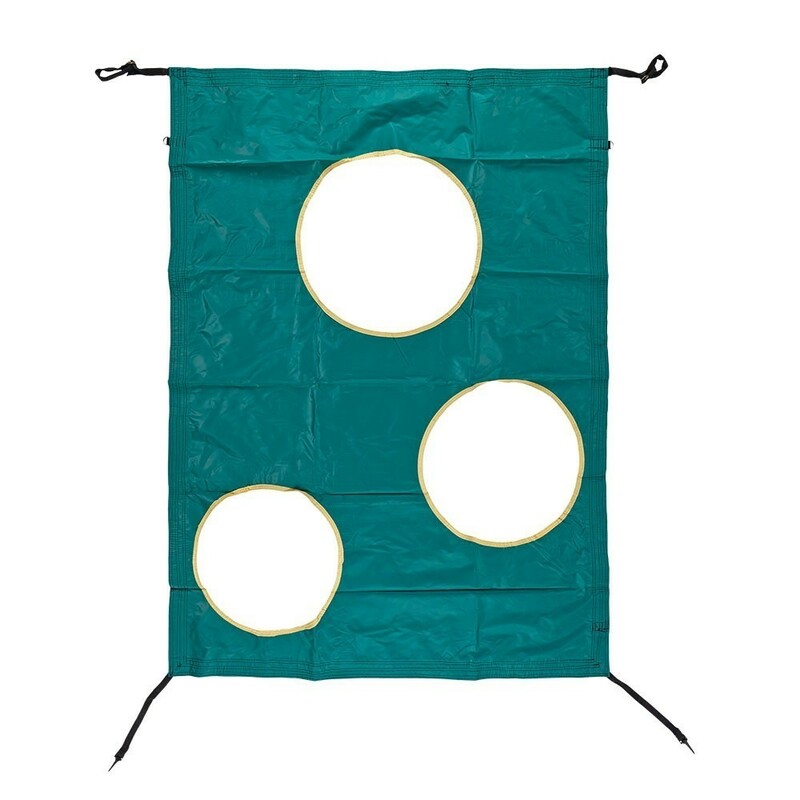 Thanks to its 4 adjustable straps that attach to the top of the net posts and to your trampoline springs, the trampofootball is quick and easy to set up. - It is a canvas with 3 different sized holes. The aim is to score goals by shooting the ball through the targets. - Made from PVC, the canvas is time-resistant. A large strengthening band is sewn around the edges of the target mat making it tear-proof. The foam ball that comes with the trampofootball allows you to play safely on your trampoline or anywhere else. - Soft and light, it weighs 260g for a 20/5cm diameter. - Its low-density polyurethane foam makes the ball easy to use. Storage advice: Keep the ball away from water and humidity to keep it in good condition! - A safety enclosure outside the frame pad, allowing a space for the ball to go. - Posts with plastic nozzles at the top to hold the canvas. bon produit complémentaire au trampoline. Les enfants l'apprécient beaucoup.